A city that retained many monuments from its glorious Medieval past, when it was regarded as the most important town in northern Italy. Among its splendid churches, the leading architectonic exemplars are its Cathedral, boasting one of the largest domes in Italy; and the Basilica di San Michele, a masterpiece of the Romanesque. A must-see is the Visconti Castle, a square-plan building with four towers surrounded by a large moat, now home to the Civic Museums that hold relics from the Roman period, as well as sculptures from the Lombard era, and an art gallery. Another famous attraction is the covered bridge, a reproduction of a 13th-Century bridge destroyed during the Second World War; it leads to the Borgo Ticino, location of the Church of Santa Maria in Bethlehem. Lying between Pavia and Milan is the Convent of Certosini, a monumental marble complex built in the 14th Century by Gian Galeazzo Visconti. The Certosa of Pavia, along with the church, was completed about a century later, and, to this day, is an oasis of calm and harmony graced by precious artworks. Its carved marble entrance gives visitors their first hint of the grandeur that characterizes this place. Inside, in fact, is the Palazzo Ducale, where noble guests were accommodated. 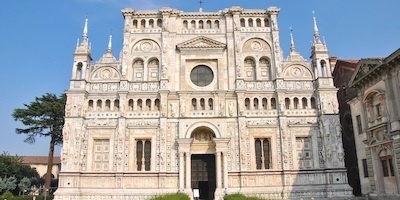 The church's façade, overlooking a spacious courtyard, is also in marble. 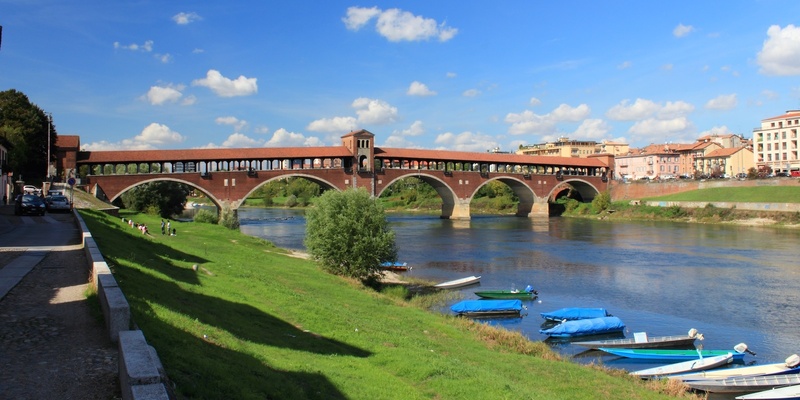 In the Oltrepò area south of Pavia, we find a varied countryside, and then Voghera, with its ancient town center circled by avenues that replaced the old city walls. Inside this perimeter is the Visconti Castle and the Collegiate Church of San Lorenzo, circumscribed by arcades. Varzi, on the other hand, still maintains its Medieval quarter, with Palazzo Malaspina, the quadrangular tower and the Gothic-Romanesque Capuchin Church constructed in limestone. This quarter is accessible via two ancient Mangini and Clock Towers, added in the 18th Century. 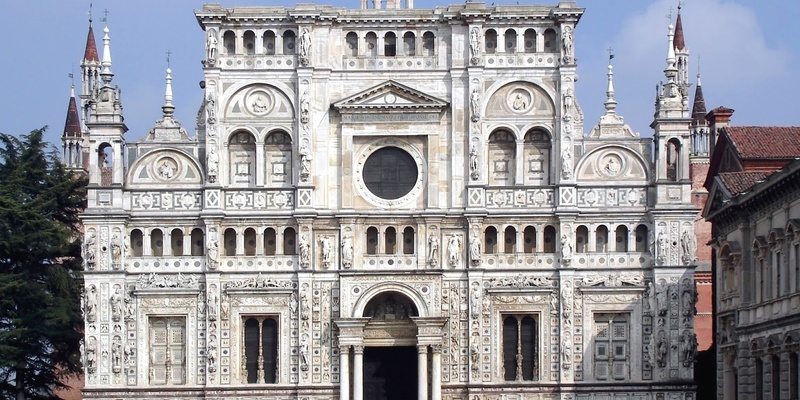 The most important town in the Lomellina zone is Vigevano, embellished by the Piazza Ducale, a fine example of Renaissance architecture; it is based on a three-sided design with arcades and elegantly-painted facades, closed on the fourth side by the Baroque façade of the Cathedral.